The VX3012 single din A/V Receiver is feature packed and perfectly priced. 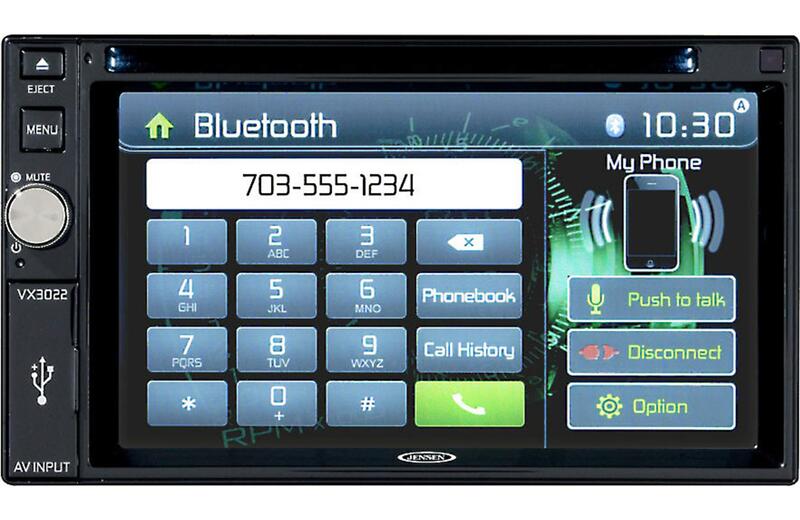 This system comes with built-in Bluetooth technology offering hands free usage, phone book access, music streaming and audio controls for Android, iPhone and Blackberry devices. The VX3012 also features App Connectivity where Android, Apple and BlackBerry users can connect via Bluetooth to stream, control and enjoy Pandora, SXM, iHeartRadio, Spotify, Slacker, TuneIn and many more Internet Radio Apps as well as a built-in DVD player, high resolution TFT touch screen, front full size USB with 1 Amp charging as well as front audio/video input and much, much more.